If you are on Instagram, you might have seen some of my recent updates about my running training. It all started last year when my friend Mary suggested that we train together for a marathon before we both turn 40. Fast-forward a year we are well into the training program for Los Angeles marathon in March. I had run when I was younger for the cross country team and also I finished the marathon twice when I was in early 20's but I stopped running when my parenting responsibilities grew bigger and bigger. 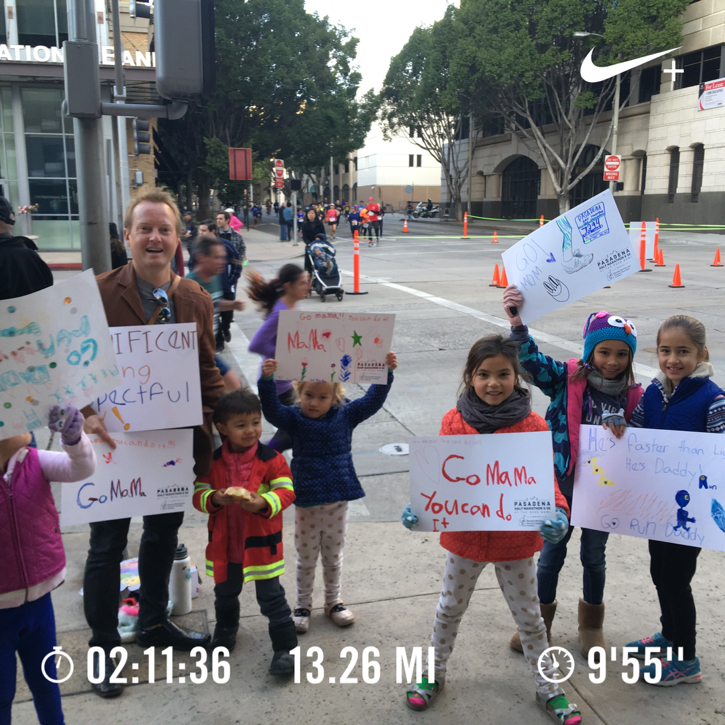 My last 1/2 marathon race was 6 months after Satchi was born. 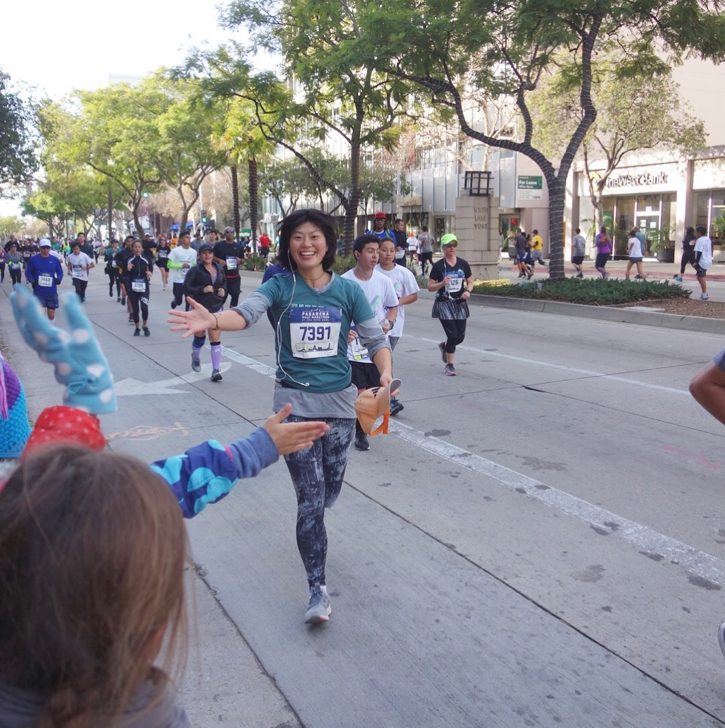 I think I signed up and finished the race because I needed to prove myself that I could still do things I was able to do before becoming a parent. After finishing the race, I never really wanted to run again. When I started running again in last summer, I was barely able to run 1-2 miles. Reaching 3 miles was a big deal in October 2017. I look back those months now and I feel humble for the body's ability to adjust, grow and get stronger. In so many ways, training for this upcoming marathon has been different from the way I have ever run before. Our friend Andy who runs professionally and also coaches high school athletes offered to provide a training program. Though we have never actually run together side by side, Mary and I have been training together by updating each other's run and sharing stories. We recruited another friend who is also a parent to join us and we have our small team which provides encouragement, funny running stories and a place to share aches and pains. And to my surprise, as our weekly mileage increased, I started to truly enjoy the process of running. Probably for the first time. Often running as the sun rises since that's the only time I have available to myself. 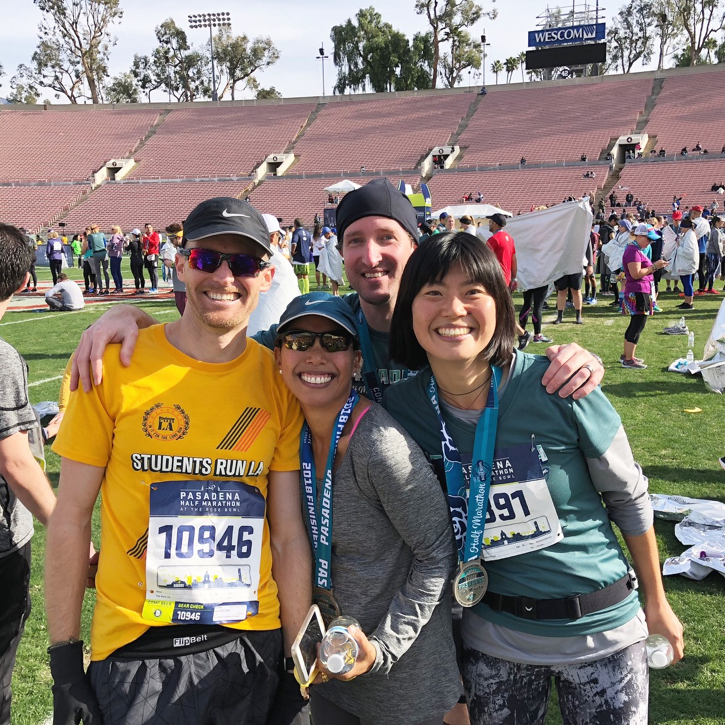 Last weekend's Pasadena Half Marathon was a big highlight of our training. The excitement and anticipation of the race. 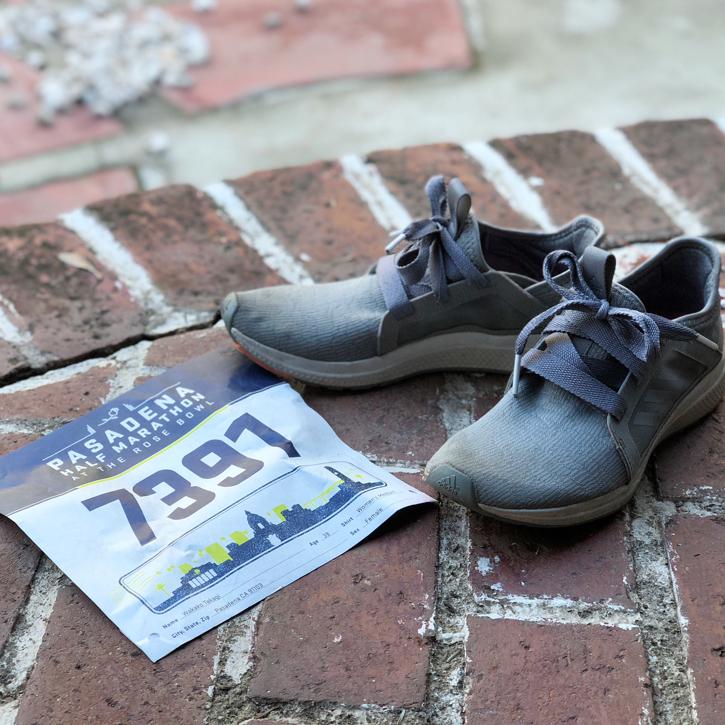 Knowing that I could run the distance since I have run many weekends leading up to it as nearly as the distance of 1/2 marathon, I wanted to challenge myself to run as strong as I can. Finishing wasn't quite enough for me. I wanted to race with myself. We had so much fun on the race day and I am so thankful. Frido coordinated with another friend Gargi and they escorted all our little friends whose parents were running to cheer during the race. I am grateful for the all the encouragement I received from our Baum-kuchen community through Instagram and emails. Thank you, thank you and thank you!!! When I was a cross-country runner at college, I run with Zoila. She is my inspiration as she continues to train for becoming an Olympic marathon runner. Her message truly resonated with me. "Your friends and family will not remember your time or place but how proud and inclusive you made them feel... Your smile and joy is (price-place-time) less". March is around the corner and my February weekends will be filled with many long runs. I am thankful to keep running and continuing to find joy in my newly found relationship with many steps on asphalt and beautiful sunrise I get to experience while truly being present.